?You can observe a lot just by watching.? Many times in an interview with a reporter I?ve been asked about the use of barter in the everyday world. As the above quote?by a former manager of mine?shows, you really can see barter?s ubiquitousness by observing everyday happenings. Last issue, for instance, we looked at the multi-billion bartering that takes place in the film and TV industry and how Starbucks is trading on their distribution. Also noted were two unique trading alliances: The Foxwood Indians Resort Casino in Connecticut with the MGM Mirage, and Bank of America?s trade of its BankBoston operations in South America for a minority stake in Brazil?s second-largest private bank. In Toronto two couples were recently involved in a life-saving barter of kidneys. Such organ trading is admittedly rare, but in situations where families of those in need of transplants can trade organs with each other for healthy compatible organs are indeed life savers. These cases happen when patients, who are not tissue-compatible with their own willing donors, can exchange their donor?s kidney for a kidney from another donor. Don Thiessen is the owner of Stacked Stone Cellars, a winery located in Paso Robles (CA), is a man of many talents. While in college he studied film-making, then went to culinary school, became a licensed guide for fishing and hunting in Colorado, and later raised bees with his own label of honey. In 1976 he bought a 10-acre property in Paso Robles while vacationing from his home in Colorado. At the time he never envisioned planting grapes and making wine, he just loved the community. Being a ?Renaissance man? (versed in many fields of knowledge), Thiessen found the subject of winemaking fascinating and moved forward with the help of barter. As the owner of Don Thiessen Construction, which builds commercial and high-end customer residential projects, he bartered a house addition in exchange for an education in winemaking. His winery now produces 14 wines in addition to the estate zinfandel...Stacked Stone Cellars presently produces 2,000 cases a year. Diva Bikinis, a young Tampa Bay (FL) company established in 2002, manufacturers and distributes luxurious high-quality micro bikinis globally. To create an international flair for this product the company features specific vacation spots throughout South America, the Caribbean, Eastern & Western Europe. Much of the expense for the firm?s multi-faceted, creative marketing approach is covered through its astute ?in-kind? barter transactions with airlines, limo companies, travel bureaus, tourist boards, unique boutique hotels and private retreats. In exchange, Diva Bikinis provides exclusive credits and referrals to its trading partners including photo documentation of the trip, credits in the ?Diva on Tour? DVD, as well as on both its web site and international calendars. All parties stand to profit handsomely by leveraging their variable costs to acquire widespread international exposure for a minimal expense. The recent visit by China?s President Hu Jintao was remarkable when noting the first stop on his U.S. visit. It wasn?t to see President Bush, but rather to visit the world?s richest and possibly most famous businessman?Microsoft?s founder Bill Gates. One wonders...is business more important than politics to the Chinese? Certainly, China is important to American corporations. Ma Kai, head of China?s National Development and Reform Commission, says U.S. investment in China has skyrocketed. In 1980 only 23 U.S. firms had operations in China, and their combined investment was $120 million. By 2005, there were 49,000 businesses with a combined investment totaling $51 billion. Scott Stinnett, VP of Sales for The Barter Company in Atlanta, has reached the landmark of signing up his 1,200th client. Stinnett, once a client when he owned a barbecue restaurant, knows the value of barter because he used it (while operating his restaurant) for billboard advertising, in addition to many other needs. During the past eight years with www.thebartercompany.com he attributes his considerable success to the fact that he could share his own experiences with new prospects. ?When I explain to them what I did as a member of a trade exchange, they can immediately see the ways they too can incorporate barter into their operation.? Go to www.ita.com, and you can now view the online video in Spanish. In addition, Illinois Trade Association?s off-line sales materials are available in Spanish. Roy Flis, 63, has been in the barter business since 1980 when he founded Empire Barter in New York. Along the way, he has become co-founder and CEO of National Trade Banc (NTB) headquartered in Houston. The Texas-based firm is a wholly owned subsidiary of privately-held National Inc.
Over the last year NTB has acquired BarterOne, Butcher Trade Exchange, Cinnabar Media Services, North Texas Barter, Houston Barter Exchange and Barter Bay. One of NTB?s innovations is implementing all trading through brokers at the headquarters trade floor. Their software is provided by Barter Center International and trades through the BCI network, which reportedly has 50,000 participants and $100 million in goods and services available daily. For more information on National Trade Banc see www.nationaltradebanc.com. Gary Lasater, CEO of TeleTrade International, announced that his international service for independent trade exchanges processed $38,133,737 for the first four months of 2006, up 23% over the same period in 2005. Lasater says the growth of the eValues system (www.eValues.net) is a result of expanded access for customers, tracking services, and strong inventory control in addition to central accounting features. The firm has enhanced the telephone authorization system to include caller ID recognition, eliminating members? need to enter account numbers to begin the process. Additionally, the system recognizes the exchange by greeting the members with a personalized salutation. 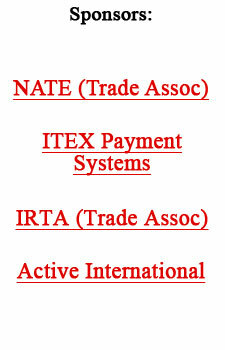 For further information on eValues and TeleTrade International contact Gary Lasater by phone (303) 840-7172 ext. 1, or e-mail gary@teletrade.net. BizXchange (www.bizxchange.com), which is located in Seattle and Oakland, reports that one of their members recently completed an extensive 45-day tour of Australia and New Zealand on trade. Such an accomplishment was achieved through a cooperative effort with Bartercard International. Compensation was provided to Bartercard through IRTA?s Universal Currency (UC) program. BizXchange broker Nathan Sutherland was complimentary, saying, ?Jennifer Ashworth of the UC did an outstanding job in putting together such a detailed and ambitious itinerary. In turn, Bartercard made themselves very accessible and were in constant contact with our client...helping him work out the smallest details of his trip.? According to UC facilitator Jennifer Ashworth, the Universal Currency is focused on adding additional value and thus will soon be launching a new system called GETS (Global Exchange Trading System). She also reported that UC?s three top traders in April were BizXchange, Northwest Barter Brokers, and Advantis International. For more information on the Universal Currency system visit www.irta.com.